From left, Byron Marler, EAA President (accepting donation), Heather Moe & Dan Forster of Design Moe Kitchen & Bath. 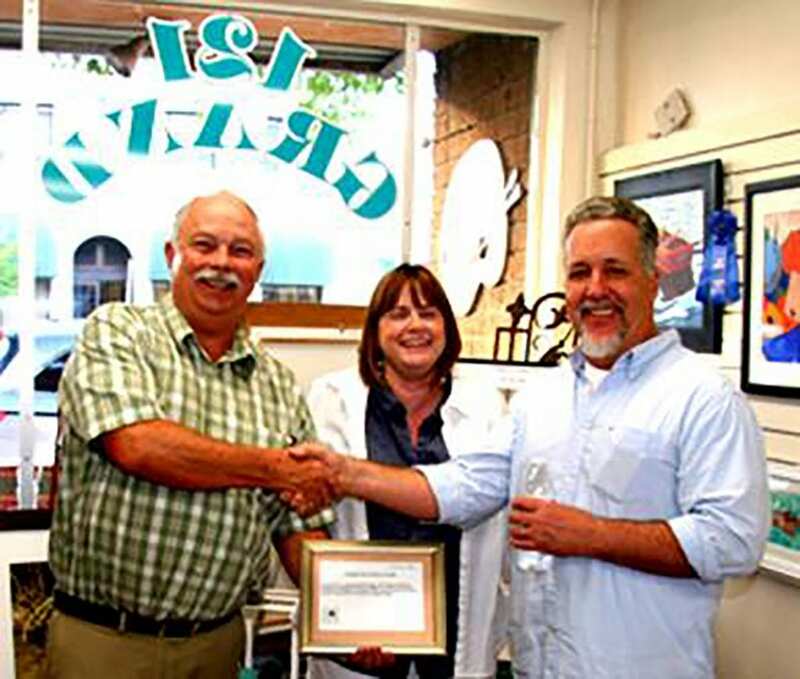 The Escondido Art Association has announced its Art Scholarship Program for 2019 which is again being sponsored by Design Moe Kitchen & Bath of Escondido. Graduating seniors enrolled in any Escondido-based high school are invited to apply. A total of $1,000 in Scholarship money will be awarded as follows: $500-First Place, $300-Second Place, and $200-Third Place. To compete, students must: (1) fill out a Scholarship Application/Entry Form; (2) obtain a letter of recommendation from their scholarship coordinator/art teacher; (3) write an essay about their interest in art; and (4) submit three pieces of artwork (at least one original.) Scholarship materials are available from scholarship coordinators at the individual schools, as well as on our website, www.escondidoartassociation.com. Completed packages must be submitted to the Artists Gallery at 121 W. Grand Avenue, Escondido on Saturday, March 2, 2019 from 11 a.m. – 4 p.m. or by the deadline drop-off of Monday, March 4, 2019 from 4–6 p.m. Winners will be notified by March 6, and artwork will remain on exhibit through the month of March. Pick-up is March 30, 2019. A Reception and Awards Ceremony will take place at the Artists Gallery on Saturday, March 9, 2019 from 5:00–8:00 p.m., with the awards being presented at 6:00 p.m. Winners must be present to receive their cash awards. For more information contact Scholarship Committee Co-chairs Rosemarie Woldin, 760 -743-6634 or Carol Crisci, 760-745-3585, or visit the EAA website www.escondidoartassociation.com.